Foreign Secretary S. Jaishankar made a two-day trip to China on June 16 and 17 to discuss India's NSG membership with his Chinese counterpart. With China playing a dampener saying that India’s admission to the elite Nuclear Suppliers’ Group (NSG) is not on the agenda of the grouping which began its plenary session in Seoul yesterday, the Unites States has called on the participating governments of the NSG to support India’s application. 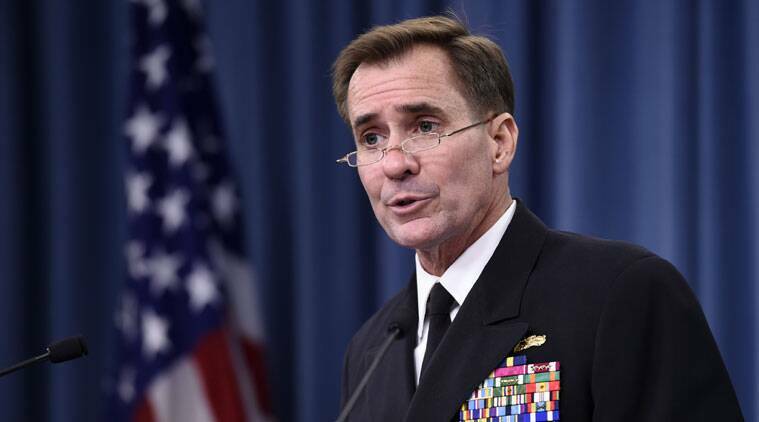 State Department spokesperson John Kirby said in a press briefing that the US has not changed its stand regarding India’s membership in the elite group. “Well, as you know, during Prime Minister Modi’s visit, the President welcomed India’s application to join the NSG and reaffirmed that India is ready for membership. We continue to call – and nothing’s changed about our position. We continue to call on the participating governments of the NSG to support India’s application at the plenary session this week in Seoul,” he said. When asked if the Obama government has taken up the matter with China, who has been firmly against India’s inclusion in the NSG, Kerry asserted that the US has routinely spoken to other NSG participating members regarding the matter. “This is something that we have – India’s application is something we have routinely talked to other NSG participating members. This is not a new topic of discussion that we’ve had privately with the members,” he said. Ahead of the NSG meeting in Seoul to decide upon India and Pakistan’s membership, China reportedly continued its resolute stand yesterday, saying that the matter of India’s admission was not on the agenda. This statement came as a backhand to External Affairs Minister Sushma Swaraj’s optimistic statement earlier, that China is not blocking India’s entry to the NSG but is only talking about ‘criteria and procedures’. “The NSG entry is crucial for India’s energy policy. China is not blocking India’s entry to the NSG. It is only talking about criteria and procedures. I am hopeful that we would be able to convince China to support our entry to the NSG,” Swaraj said in a press briefing. Foreign Secretary S. Jaishankar made a two-day trip to China on June 16 and 17 to discuss India’s NSG membership with his Chinese counterpart. This visit came days ahead of Prime Minister Narendra Modi’s meeting with Chinese President Xi Jinping on June 23 when both leaders will attend the Shanghai Cooperation Organisation leaders’ meeting in Tashkent. China has maintained that more talks were needed to build a consensus on which countries can join the 48-nation NSG following the United States’ push to include India in the elite group. The countries, who oppose India’s membership, argue that its inclusion in the group would further undermine efforts to prevent proliferation and also infuriate New Delhi’s rival Pakistan. Islamabad, which enjoys the backing of its close ally China, has also responded to India’s membership bid and asked for its admission as well. The decision on Indian membership will only be decided at the NSG plenary meeting in Seoul scheduled on June 23 and 24. India claims that 21 of 23 nations back its bid. The NSG works on unanimity and even one “no” vote can scuttle India’s bid. The US has strongly backed India’s bid and so have Britain, Russia and Switzerland.